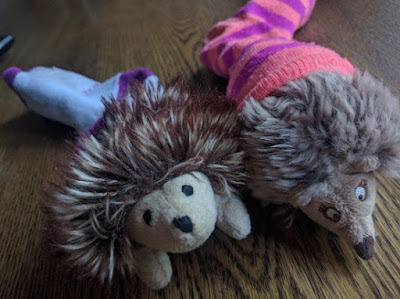 Wild hedgehogs live in burrows but my stuffed hedgehogs prefer socks. You have a wonderful blog, Harriet! I'm glad to know that your stuffed hedgehogs have a safe sock home. Looks cozy. They're so very cute!